You may be able to take your pet ferret with you on your airplane flight, depending on where you are going and which airline you choose. Here are some issues to consider before you travel with your pet ferret. Ferret lovers believe that ferrets make excellent pets. They are friendly, adjust their sleep schedules to yours and look at you with endearing expressions on their faces. However, ferrets are not accepted as pets in some countries, states, cities, and territories. In the US, you may not bring a ferret into California, Hawaii, the District of Columbia and ​Puerto Rico. You need a permit to keep a pet ferret in Rhode Island. In addition, some US cities and towns have passed local laws banning pet ferrets. Australia's Queensland and Northern Territory do not allow individuals to keep ferrets as pets, and ferrets cannot be imported into Australia. Tip: The United Kingdom's PETS scheme allows you to bring pet ferrets into the UK without having to subject them to a six-month quarantine, but you will need to follow the process exactly as outlined. In addition, ferrets can only enter the UK via certain approved air carrier routes, so you will need to check the list of routes before you buy your airline ticket. If you plan to travel with your pet ferret, be sure its vaccinations are up to date. Island nations, in particular, have specific requirements about rabies vaccinations. Check those regulations before vaccinating your ferret so that you are sure your veterinarian is vaccinating your pet within the specified time frame. 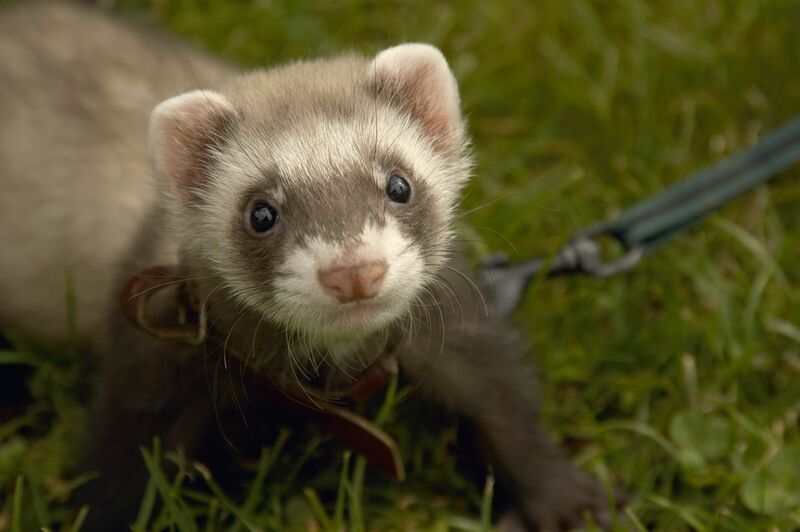 You should also microchip your ferret, not only because your destination country might require it but also because you or someone else will be able to identify your ferret easily if it becomes lost and is later found. Find out whether your destination country requires your ferret to travel with a health certificate signed by your veterinarian. If so, obtain this document within the required time frame. Plan to carry your ferret's medical records and vaccination certificates with you in your carry-on bag when you travel together. Do not put these documents into your checked baggage. Even a ferret-friendly airline will avoid accepting pets that must travel in the baggage hold during extremely warm or cold weather. Ferrets are especially susceptible to extreme temperatures, so these policies were enacted in the best interests of your pet. Plan your trip for the spring or autumn if you really want to bring your ferret along. The US Air Carrier Access Act specifically states that airlines do not have to transport ferrets in their passenger cabins, even if the ferret in question is a bona fide service animal. You can't take your pet ferret on Amtrak or Greyhound, but you can bring your ferret with you if you drive. If finding a ferret-friendly airline proves challenging, review your travel plans with your ferret's well-being in mind and consider transporting your ferret by car.